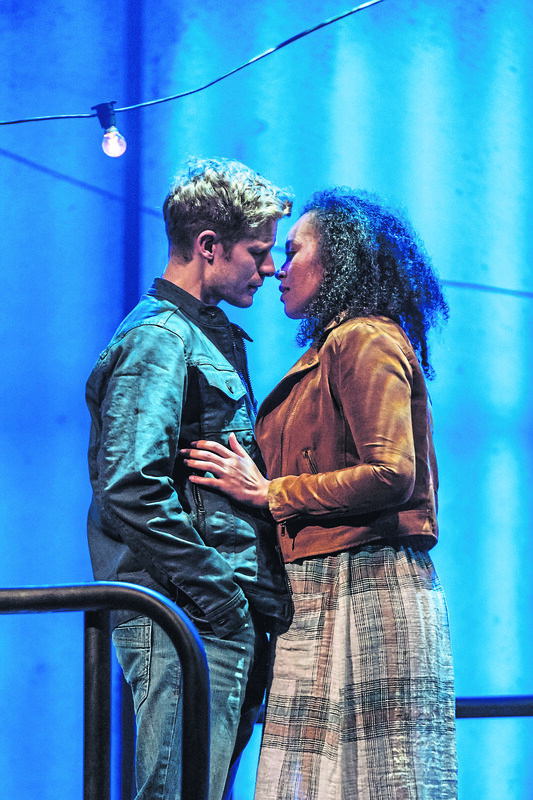 Bring your singing voices and get ready to stamp your feet as West Yorkshire Playhouse brings back Sunshine on Leith in a shiny new production. Writer Stephen Greenhorn and director James Brining join forces to bring audiences the uplifting tale of best friends and servicemen Davy and Ally as they return home to civilian life. 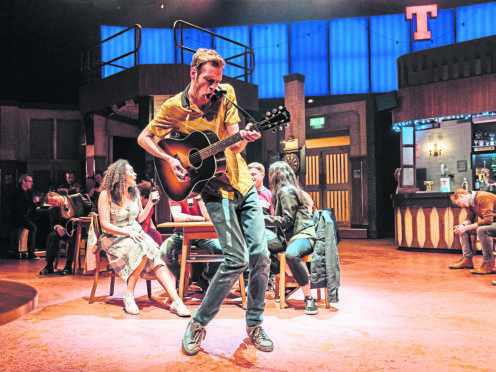 Familiar to many, thanks to the 2013 film which used iconic Edinburgh sights, the musical is set to the amazing and timeless toe-tapping music of Scotland’s The Proclaimers. “It is exciting to bring it back,” said Stephen. The musical uses songs from The Proclaimers’ catalogue and when the idea for the original musical was first floated, the team didn’t realise how much of a success it would be. Craig and Charlie Reid, who are from Leith, formed The Proclaimers in 1983, and the Scots have since gathered an international following and have toured all over the world. Stephen said: “It would either be brilliant or a disaster and we had no idea how it would be received. A Scottish playwright and screenwriter, Stephen wrote the original 2007 production and worked alongside James Brining. 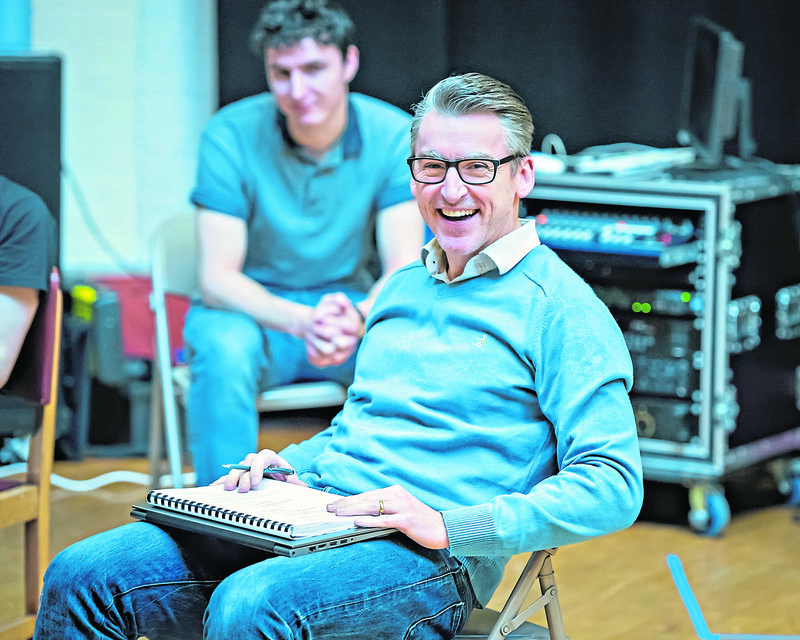 James is revisiting his time with Dundee Rep as artistic director with his work on the entertaining and emotional musical with the West Yorkshire Playhouse. With the movie, The Proclaimers left the production team to it, only floating the occasional email to Stephen over the songs. “We didn’t have much hope that anyone would put money into a Scottish musical,” said Stephen. “Then DNA Films, who worked with Trainspotting, came in at just the right point to help. Just as important as the music is the expert cast, and actor Paul-James Corrigan had a close call when it came to making the auditions. “I was on the train to London for the audition but there were floods in the Lake District and I ended up going back to Scotland and then to Leeds the next day where they could audition me,” he said. He may be a familiar face to many thanks to his role as Stevie Burns in River City, but Paul-James has made a name for himself on the stage. He has starred in National Theatre of Scotland’s Black Watch and recently reprised his role of Adam in Gary: Tank Commander. Now he is entertaining audiences as Ally, joining Steven Miller on stage who plays his best friend Davy. “I knew of The Proclaimers – I think most folk in Scotland can say that they were brought up with their music,” said Paul-James. The production has a new set and lighting arrangements and is a fun change and different from working on television for Paul-James. “There is a lot of setting up and no one is in a rush but with theatre it is live, scary and exciting. If you get the line wrong you just have to keep going. it is different but I love the buzz,” he said, comparing television to theatre. For Paul-James, the story is something which many people will be able to relate to, whether it is through the family, army or relationship aspects. His character Ally is a lovable rogue who is “great fun to play” – Paul-James can relate to his sense of humour, but also the serious side. Before he goes on stage the whole cast has a warm-up to get into the zone and then Paul will take a few moments to himself, but the cast are together having fun, taking doom and gloom faces and making them smile. “I noticed a few faces where it was obvious the wife had dragged the man to see the show and he ends up on his feet. “You have to see it, you won’t regret it as it is a fantastic show,” said Paul-James. Stephen said: “Go along and enjoy a great night out. 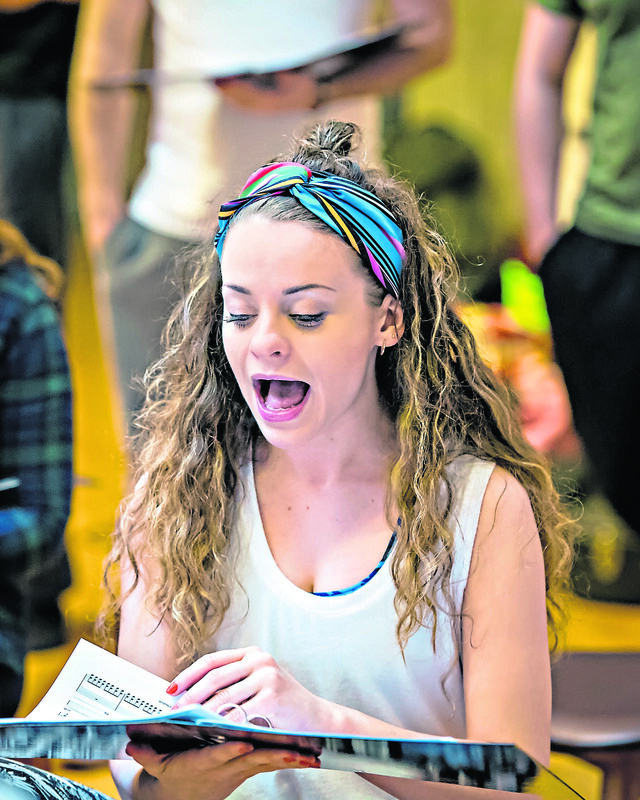 “The songs are amazing and the production has a great energy with a fantastic cast.